Üsküdar Çevresi: Quotation: Princeton University A World History of The World, "China: Centralization and its Consequences"
Quotation: Princeton University A World History of The World, "China: Centralization and its Consequences"
China and the Ming Dynasty in the early 16th century was a powerful, centralized and prosperous country. What is not often mentioned, however, is the fact that they were conceited and uninterested in the changing world around them. They believed that they were the center of the world, and that they were far superior to the “savages” of Europe. This mentality would take centuries to change; as a result of their self-centeredness, China missed numerous benefits that other countries had experienced and opened up vulnerability in a previously powerful empire. China may have been unwilling to learn or interact with the world in the 16th century, but as time went on and trade began, they still maintained a negative perception on foreigners and on foreign exploration for many centuries. 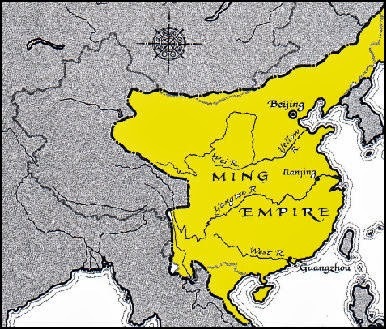 In 1520, high Ming officials saw the Europeans as a threat to their security, and they were angered that the “unruly and untrustworthy” Europeans were attempting to come and harm their unified, central authority. They hoped that “all the foreign junks in our bay and the foreigners who secretly live (in our territory) be driven away.” We know that China was a self-sufficient agricultural aristocracy in the early stages of the 16th century, and although they could provide for themselves, they excluded themselves from the global interconnectedness that brought so many benefits to other nations. It would take the monumental discovery of silver to finally bring China into the global economy, but as the silver trade began, China’s power over Europe would diminish. In the 16th century, Europe, and in particular, Spain was undergoing a massive outward expansion. The exploitation of New World silver brought great wealth and riches to Spain and Europe and altered the balance of power from China to the Europeans. Because Europe was uncentralized, entrepreneurial and focused on exploring the world around them, they were able to discover riches abroad and enter the previously protected Chinese market. By 1570, Spain was sending silver across the Pacific to Macau, and across the Atlantic to Europe; Europe dominated the entire ocean. China had the resources to build the largest navy in the world and explore the earth, but their inverted attitude prevented them from controlling the seas. Had China found silver before the Europeans, they would have become unimaginably powerful. 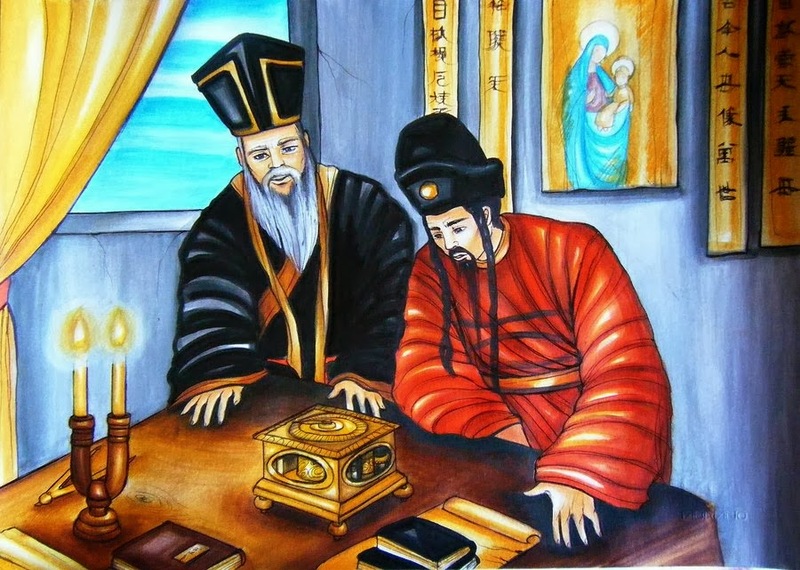 Matteo Ricci, the famed Jesuit missionary, tells us of the incredible array of resources that China possessed. Ricci was one of the only Europeans to be allowed deep into China in the 16th century. The Chinese wanted him only for his astrologic knowledge – they were infatuated with the stars, and he was viewed as an intellectual. In his journal, we see that China had significantly more resources than the Europeans, but that in some cases, they had inferior knowledge on how to make the best use of these resources. We see that although they have polishes and tea, they lacked technology in aspects including: architecture, breeding animals, linens, weaving and glass blowing. Europe may not have had trading resources until they found silver, but they certainly had an abundance of knowledge; China missed the opportunity to harness European knowledge that could have improved their empire. The Ming dynasty’s 16th century mentality of inversion, rather than external exploration hurt China for centuries to come; as history progressed, China suffered difficulties as a result of Europe’s previously established control of the world’s oceans. 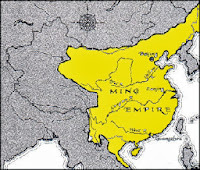 The reliance on silver and the huge flow of wealth into the country led to economic instability and inflation, and undermined Ming authority, destroying their empire. The Qing’s were also adverse to foreign trade, and we see their attempt to stop trade in the Opium wars of the 19th century. When these attempts failed, the British arrived, and were victorious; the Chinese surrendered Hong Kong and conformed to European demands. Today as we know, things are different. The United States and the rest of the world rely heavily on China, and it is the most powerful and advanced nation on the planet. With the US 1.3 trillion dollars in debt to China, they hold all of the control. China now embraces foreign trade and the sharing of knowledge. But in the 16th century, and for a long time after, China had little control of the world around them due to their introverted policies. The agrarian aristocracy of China differed greatly from commercial and mercantile empires of Europe, and while there were early tensions, Europe adapted and overcame. Although China had immense resources, it lacked efficiency and knowledge, and the Chinese were dependent on Europe for centuries to come. In the 16th century, China believed that good things would come to them; this was clearly not the case. What if China had not been centralized and had discovered silver? What if China had interacted with Europe and gained knowledge? What if China had conquered and colonized other nations and become a global, rather than individual superpower? There are many questions that we don’t have answers to, but had China expanded outwards, and not been vain, world history would have been much different. 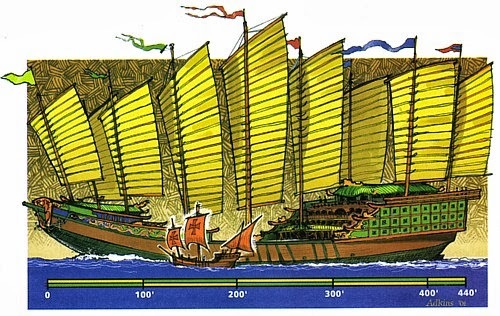 What if the Chinese had used their technology to colonize and conquer?